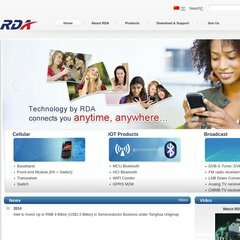 Topics: 中文, Rda Award, and Sample Application. On average 2.80 pages are viewed each, by the estimated 49 daily visitors. It is written for ASP.NET language. Its 2 nameservers are dns8.hichina.com, and dns7.hichina.com. It is hosted by Unit 1702 Ramada Tower, using Microsoft-IIS/6 web server.